ESPUMA®Gentle Comfort is absorbent, polyurethane foam laminated with perforated soft silicone gel wound contact layer which extends beyond the perimeter of foam to allow easy fixation without adhesive tapes or fixation dressing and provide atraumatic dressing removal. 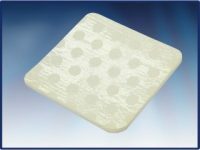 The outermost layer of the dressing is polyurethane non-woven bilaminate which is waterproof, bacteria proof and virus proof. 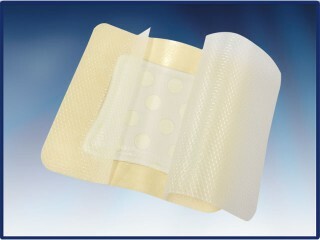 Pattern coated silicone or perforated silicone film, allow free passage of wound exudate to the foam so prevents skin maceration. ESPUMA®Gentle Comfort is suitable for dressing many types of exuding wounds including leg and pressure ulcers, surgical incisions and traumatic wounds resulting in skin loss, also may be used under compression bandaging. 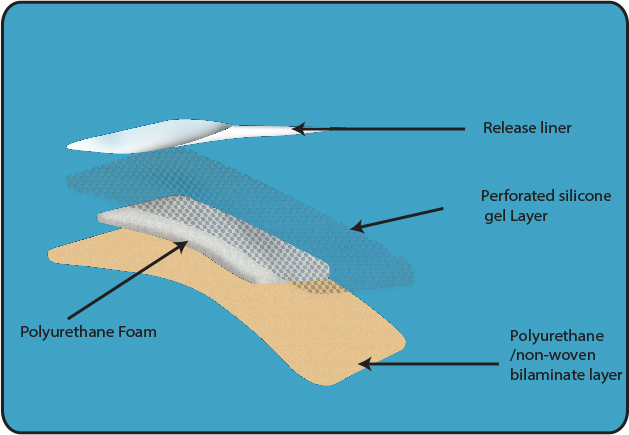 Do not use ESPUMA®Gentle Comfort dressings with oxidizing agents such as hypochlorite solutions or hydrogen peroxide, as these can break down the absorbent polyurethane component of the dressing. In case of infection, ESPUMA®Gentle Comfort still can be used but under medical supervision and with antimicrobial conjunctive therapy. 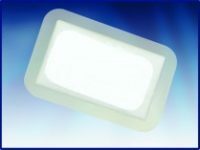 ESPUMA®Gentle Comfort is supplied individually wrapped in heat sealable package, sterilized by ethylene oxide. A dressing should be selected that overlaps the wound margin by at least two centimeters. In case of ESPUMA® Gentle Comfort, do not cut to size, ESPUMA®Gentle Comfort doesn’t need any retention aid or fixation dressing.